Plunging swim top with ruffled short sleeves. Lined. By Shashi. 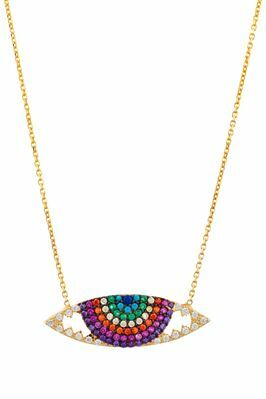 Raven 18k gold plated necklace on a delicate chain featuring colorful crystal accents on an evil eye pendant. Offers an adjustable length with a cotton tassel detail.